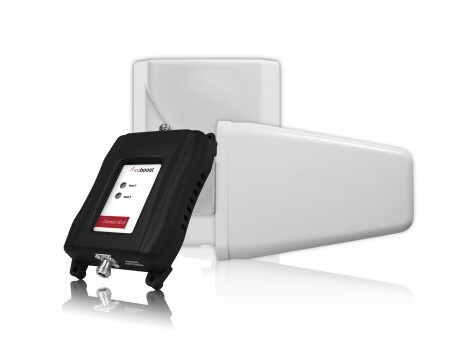 The weBoost 470105 Connect 3G-X Extreme Signal Booster Kit is the next version of the Wilson 460105 AG Pro 70 Dual-Band Signal Booster kit. The weBoost Connect 3G-X Extreme kit is one of the strongest boosters available on the market, is designed to boost the voice and 3G networks for most of the major carriers in the United States and Canada, has the highest quality cables and antennas available from weBoost, and will cover a large to very large sized home or office with boosted signal, assuming a strong outside signal. In terms of setup and operation, the weBoost Connect 3G-X Extreme kit uses a yagi directional outside antenna that's typically mounted on a vertical pole on the roof of your home or office to pick up the existing cell signal in your area. That signal is sent over a cable to the weBoost Connect 3G-X amplifier, which boosts the signal and sends it over another cable to the inside antenna. 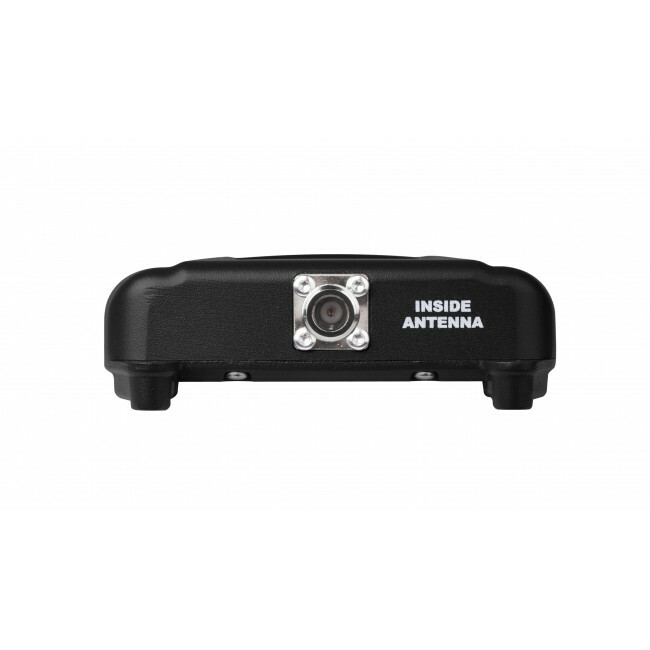 The inside antenna broadcasts the boosted signal into your home or office giving you a usable indoor cell signal. The weBoost 470105 Connect 3G-X Extreme Signal Booster Kit includes everything you need to quickly and easily install the system and immediately start having great cell signal. If you can't mount an antenna on the roof of your home or office, please contact us to discuss other potential options. Many carriers are moving everything quickly to their 4G LTE networks including voice calls. At some point in the near future, we'll start to see 4G-LTE only phones that will no longer be able to take advantage of 2G/3G boosters like this one. To ensure that the signal booster you get will work well for years to come, we generally recommend systems that support 4G LTE in addition to the 2G and 3G networks like the weBoost 471104 Connect 4G-X Extreme Signal Booster Kit. However, if you plan to keep your older phone for the foreseeable future and don't need the faster LTE data speeds, a 2G/3G booster like this one should work out just fine for you. If you have an existing 1 to 2-bar (-100 dB) outside signal, you may receive up to 2,000 sq ft of boosted signal inside the building*. 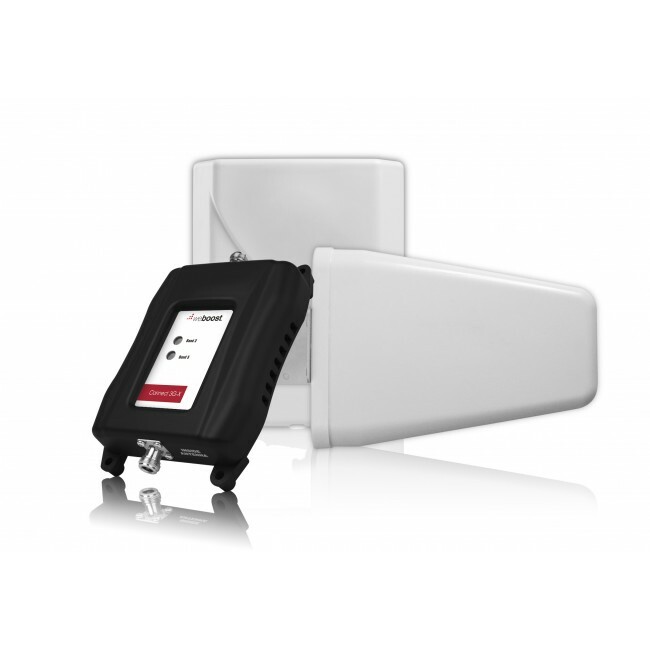 If you require more coverage than you can get from a single weBoost Connect 3G-X system, it is possible to use multiple kits within the same building. Each Connect 3G-X system would require its own dedicated outside antenna. Each outside antenna should be mounted at least 5 ft. from all other outside antennas. If you're not sure about how to cover your larger building with a boosted signal, please file out our Custom Kit Request Form and we can help design a custom solution for your building. 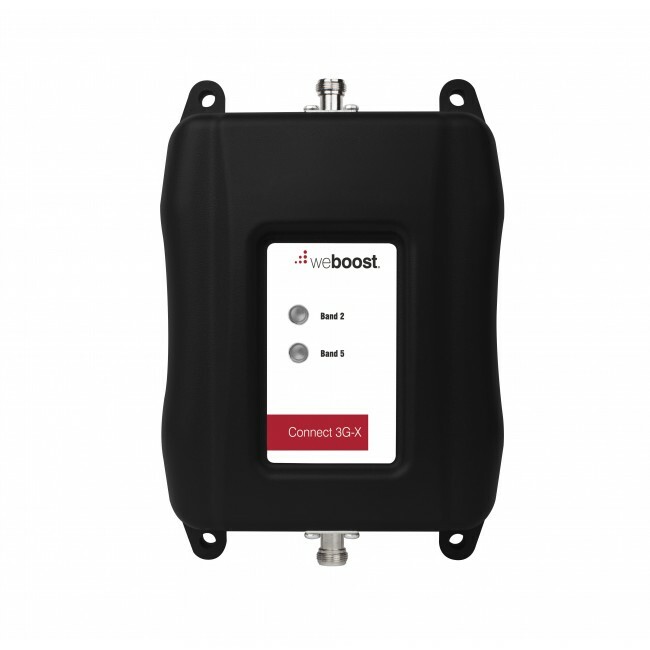 The weBoost 470105 Connect 3G-X supports the 2G & 3G networks from virtually all carriers in the United States and Canada. For other locations, please consult the frequencies listed below to see if this product will work for you. This kit will not boost the 4G LTE networks from any carrier. 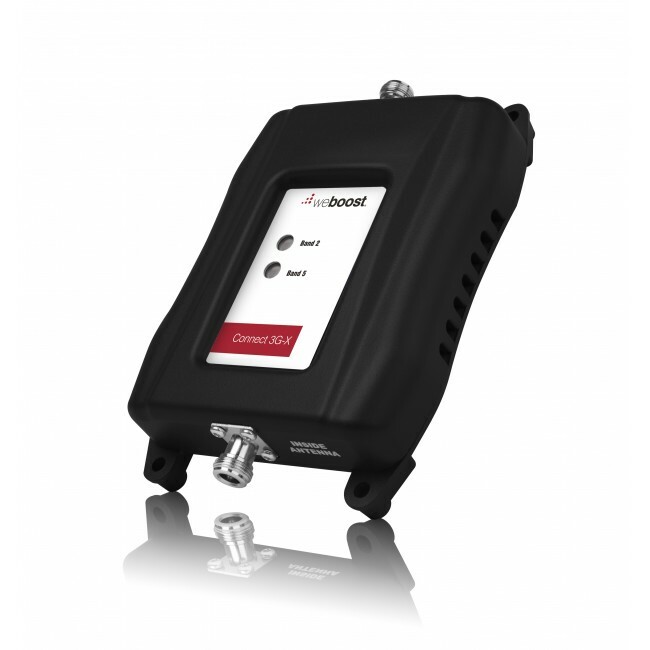 The weBoost 470105 Connect 3G-X comes with everything that you need for immediate installation, however, there are a few of additional items you may want to consider. 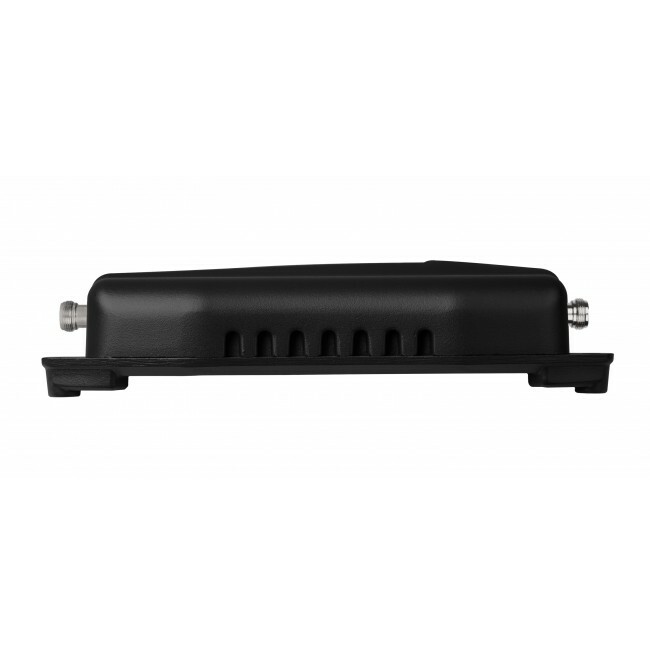 Installing the weBoost 470105 Connect 3G-X Extreme Signal Booster Kit system is fairly straightforward, but will require running cable from the roof or elevated location into the building, as well as potentially drilling and screwing in components. If you feel comfortable with this level of installation, then feel free to proceed, otherwise you may want to consider hiring a general contractor, electrician, satellite TV installer, or handyman to assist in the installation. Once the cable is inside the house, we recommend running the cables and locating the inside antenna in the attic of the house (If this is not possible, please call us to discuss other installation locations). The amplifier can either be located in the attic if there is an area with AC power, or down in the living space for easier access. To start Run the cable to the area where you plan to locate the amplifier. If you've purchased a lighting surge protector, attach that now, and then connect the 2ft cable to the "Outside Antenna" port of the amplifier. Otherwise directly connect the outside cable to the "Outside Antenna" port. Connect the 60 ft cable to the "Inside Port" on the other side of the amplifier, and run it to the center of the attic. Connect the panel antenna and lay it face down on the floor of the attic. Directional antennas must be aimed for best results. When aiming and when mounting the antenna, make sure that it is parallel with the ground, do not aim it up at the sky or down at the ground. Start with the antenna high on the roof pointed in one direction. Turn on the system and have a person inside stand 10 ft in front of the inside antenna and take a signal reading with their phone in field test mode. If possible, you should also disable 4G LTE on your phone since this device does not boost the 4G LTE networks. Rotate the outside antenna 45 degrees (1/8th of the way around) and then pause for 60 seconds. After the pause, the person inside should take another signal reading from exactly the same spot, and then you can repeat the process. After you've gone all the way around, mount the antenna facing in the direction with the strongest signal (decibel signal reading will be closest to 0). If possible, also mount the antenna on that side of the home or office so that it's pointing away from the building and not over the building.